NOTE BY NANCY: I consider Matthew’s report essential in comprehending the imprisonment from which Earth emerged around and on December 21, 2012. For this reason, I’ll attempt to break it down into sections. I strongly encourage you to set aside some time to thoroughly study this 1/19/2013 report, Matthew’s 9/9/2011 report, Agenda 21, and the two articles I have included. The information contained in these resources will greatly enhance your understanding of Earth’s imprisonment, your own enslavement, and our release into the Light. URLs are listed below. My statements are the underlined portion of this report. With loving greetings from all souls at this station, this is Matthew. Pondering and puzzlement are in some lightworkers’ thoughts. Here you are almost three weeks into your year 2013; not only has nothing occurred in the way of substantial reforms, but there is talk of another war zone and a deadly hostage situation in Algeria, random violence continues and the plight of refugees grows. Don’t those show that Earth still is in darkness? Thus darkness is the dark forces’ offspring, you could say, and it can be likened to a cloud cover that is so dense that the people feel lost in the miasma. And indeed they are lost insofar as conscious awareness of their beginnings, of their god and goddess selves and of their inseparable connection with the Supreme Ruler of this universe and all other life forms herein. The dark ones are the individuals in an enshrouded civilization who have a proclivity toward greed, cruelty and lust for power. The low vibrations of those tendencies form “cracks” in the psyche, and by the universal law of attraction, the cracks permit the entry of the matching negative thought forms that are the makeup of darkness. Henceforth darkness influences and ultimately controls those individuals’ thoughts, intentions and actions. They become puppets of the darkness and carry out the dark forces’ goal to enslave that civilization through tyranny, fear, deception, corruption and ignorance of truths about their beginnings in Creator, multiple lifetimes, the universal laws or the reality of other civilizations. Matthew explains the progress that has been made in clearing the darkness from Earth. The Light infusion that has saved Earth from destruction began around 1942. The dark forces left, but its dense cloud of darkness remained. Even though the dark forces left, its dense cloud of darkness remained on Earth, which the forces futilely had sought to capture for once and for all. Darkness continued to preclude spiritual and conscious awareness in the collective consciousness, and via the law of attraction, Earth’s residents kept producing the negativity that almost killed the planet. The continued infusion of Light from our galactic family since 1942 diffused the cloud of darkness’ density enough to allow Earth to escape her imprisonment in the 3rd dimension. Earth ascended into the 4th dimension in December 2012. The 4th dimension is the plane to which Earth humans go upon leaving the physical body in what we have called death. Following each physical incarnation, we return to the various planes of the 4th dimension, depending upon the amount of Light within our energy field. It is from the 4th dimension that Souls reincarnate until they have purified 51% of their negative karma and qualify to step off the wheel of karma/reincarnation into the 5th dimension. 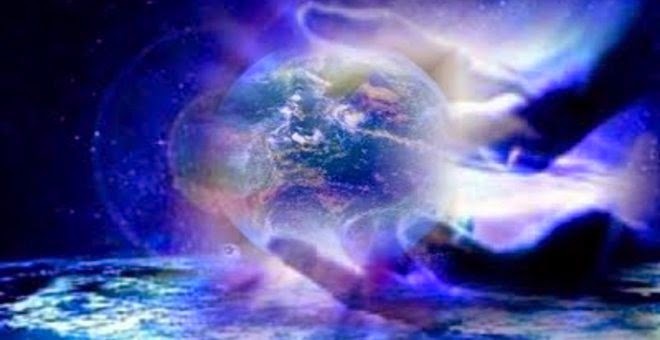 The momentum that Lightworkers & Lightholders felt as we neared December 21, 2012 resulted in a multitude of additional Earth inhabitants being able to ascend into 4th dimension with Earth. Now, it is up to each Soul to make the decision to purify their energy fields enough to continue the ascension journey into the 5th dimension where ONLY Light, Love, and Peace can exist. That energy surge kept brightening the collective consciousness until it looked like the noonday sun, fulfilling Earth’s heartfelt desire that at least most of her residents may accompany her along her ascension pathway. Many, many persons who formerly lacked the light that would enable them to go along with the planet are absorbing enough to do so at least for a while longer. Those who choose not to purify … not to move beyond the 3rd dimensional modalities of life will—by the Universal Law of “Like attracts Like”—be attracted to another planet where they can continue to live the 3rd dimensional way of life. The present transition period within the 4th dimension is the opportunity for these individuals to make their decision and prepare for ascension into the 5th dimension. Those referred to as the “dark cabal” or “Illuminati”had agreed in their Soul Contract to turn to the Light and to do so around year 2000. They refused. Although some members of the dark cabal continue to be on Earth, they cannot last long because their bodies will be unable to withstand the intensity of the energies as Earth moves closer to the 5th dimension. During the in-pouring of love-light energy, those few individuals who still are among you absorbed little more light than they had, which is only the spark that is their life force. But it was enough extra for their bodies to physically survive in the first wisps of fourth density where Earth is at this moment. If they do not absorb more of the light’s brilliance that will keep intensifying along the planet’s ascension course, their bodies will not be viable much longer. Many “good people” benefitted from the recent energy surge, but believe themselves to still be living on the 3rd dimension. They continue life as they previously knew it with all of the fear of terrorists, gun control, immigration, women and minorities having equal rights, the fiscal cliff, on and on ad infinitum. In other words, they continue to believe the lies they are fed by the mainstream media and the dark ones. They know not how to think for themselves. The majority who benefitted from the energy surge are “good people” who are greatly concerned about world affairs as depicted in your mainstream media and scary disinformation on the Internet. They have not yet “seen the light,” to borrow your expression—they are living in godly ways but still are viewing your world at 3D level mentally and spiritually. Others continue to follow orders from those they have been taught to consider authorites. They have accepted the concept of enemy and that they must fight to protect their families and “freedom.” Others feel conflicted, but continue to follow orders because doing so is the means by which they support themselves and family. Others who still are “in the dark” in those respects are following authorities’ orders; they haven’t absorbed enough light to rise above their indoctrination to obey without question. Some have been inculcated with the belief that it is their responsibility to seek revenge for assaults on their ancestors, communities, countries. Those various states of mind along with massive environmental damage are the natural “aftermath of millennia of darkness,” as stated in our last message. It remains to be seen how much light and purification these individuals will be willing to absorb … how much they will be willing to change so they can continue to remain on Earth as she ascends to the 5th dimension. Ascension is a freewill choice, not an inevitability. Why has there been so much anticipation regarding Earth’s ascension? Why do we need to work toward ascending to the 5th dimension? Now we shall explain why we have often stated that in speed and scope, Earth’s ascension out of deep third density is unprecedented in this universe. With the exception of her experience, traversing that density where darkness is so deeply entrenched is an extraordinarily long, arduous trek. Matthew gives the example of another planet whose inhabitants warring ways almost destroyed the planet. Unlike Earth, that planet did not have the assistance of their galactic family. We cite another world’s experience. Like Earth’s ancient peoples, that civilization also descended from a higher density in spiritual and conscious awareness to the brink of planetary destruction due to the onset and continuation of warring. They did not have the aid of our universal family, and successive generations spent almost 50,000 years rising out of deep third density before they reached fourth. It took that long before there was sufficient light in the collective consciousness to lift the civilization and their planet into that higher density. Mother, for readers who would like to know more about that civilization’s history, physical appearance, culture, government and so forth, please mention the book with the lengthy message from a representative of its current population. [“Aeschyles” chapter in Illuminations for a New Era]. Scroll down page to this book. Thank you. Earth and her life forms have had an unparalleled amount of help ever since ascension started in the late 1930s. It began with the lifesaving infusion of light from many powerful civilizations and has continued through the various means of help we have enumerated in previous messages. Only a comparative handful of your populace knows about that assistance, but other accomplishments of the light are indeed evident. As it kept increasing on Earth, more and more of you generated your own light with greater forcefulness, and you lightworkers have made enormous strides in subduing the effects of darkness by exposing the dark ones’ activities. To your great accomplishments that we have heralded previously we add the global spotlight you are shining on the need to uplift the status of women and to end the proliferation of weapons. These heavily negative aspects of your society that long have been dominant in the collective consciousness now are in the forefront of the public eye. Generation after generation after generation tolerated unjust cultural laws and practices that demean women and accepted perpetual warring and violence as “that’s just life.” Now the voice of your society worldwide is saying Stop! Earth humans could not have experienced their freewill choice to live on a plane of duality—good and evil—without some Souls agreeing to play the role of the bad ones, the sick ones, or the dark ones. They play these roles in fulfillment of their Soul Contracts. Thus, Matthew’s references to the recent events that have stimulated the public’s outcry for gun control, women’s rights, children’s rights, etc. Light beings throughout this universe honor the myriad souls who agreed to participate in the multitude of tragic situations that have stirred the peoples to take bold steps forward in those two areas and all others where change so sorely has been needed. The souls who accepted those exceedingly harsh missions did so with unconditional love and they leapt forward in soul growth. At this moment and in accordance with what Earth’s history has heretofore been, Matthew states it will take time for Earth humans to come to agreement to transform our world. All prophecy is made on the basis of the probabilities energetically evident at any one point in time. For this reason, Earth humans can make the decision to speed up the process by willingly coming together in cooperation as the One Family of God. We can choose to cast aside all things that separate us—that urge us to choose sides and compete. Our willingness to do so will determine how quickly the changes will be made. Just as you, we wish that all necessary changes could happen overnight. It will take many negotiators, many discussions and some logjams before all hearts and minds are in accord. The Golden Age master planners knew that you couldn’t transform your world any way other than step by step, and at soul level you and everyone else on Earth knows this too. Even with extraterrestrial aid, a third density civilization evolving into a peaceful peoples living in harmony with Nature is a transitional process. All along our messages and answers to readers who questioned this have been the same—changes will come incrementally. The following excerpt from the June 2, 2007 message recently was emailed to my mother by a new reader who “just happened to see this.” He also wrote that this information should be in more messages, we shouldn’t expect people to remember what is in the old ones. All darkness will have been transmuted and Earth’s and individuals’ balance attained, but it is not correct that after the year 2012 everything achieved up to that time will remain unchanged henceforth. Remember, the only constant in the universe IS change. Spiritual and intellectual growth and technological progress will continue—you wouldn’t want it any other way! Our beloved Earth family, never have we expected you to remember all of the information we have offered! Not only are your days filled with a wide range of responsibilities to think about, but linear time is passing faster and faster. That is why so often we have repeated what is essential for you to know, and it has included that the glories of the Golden Age are not all sitting on its doorstep and that one day will not differ dramatically from the day before and the day following. Many of us did read Matthew’s June 2007 message as meaning that all negativity would be gone from Earth by the end of 2012. It is very helpful to know that the shift of the ages that occurred on and around December 21, 2012 truly did cast Earth “out of 3rd dimension” and into the 4th, where much Light & Love exists and where the higher sections of the 4th are what we have heretofore called “heaven” for those who were not ready to ascend into the 5th and higher upon death to the physical body. To avoid any possibility of misinterpretation, we say that we could have been more exacting about “balance attained” in that June 2007 message. Although the preceding material was in the context of third density conditions, we could have specified that balance will be attained so that Earth and her residents can ascend out of third density. As microcosms of the universe, which always is in a balancing mode, you too will continue balancing as your spiritual and conscious awareness keeps expanding. What was awaiting you on the doorstep of the Golden Age is the effect of the energy surge during the December solstice that transmuted the last of the darkness into light. This new abundance of light is increasing the momentum in Earth’s energy field of potential toward manifestation of marvels you and your universal family will be co-creating along Earth’s journey through fourth density and on to her destination in fifth. We don’t know how long it will be before Earth is joyfully back home where the planet and its soul, Gaia, originated. It is logical to ask, since we knew when the planet would exit third density, why don’t we know when it will reach its destination? Now that Earth is in the 4th dimension, it is up to you and I to determine how long she remains. Do we want to transform our world quickly or do we choose to meander along? Note that Matthew includes ACTIONS—our actions—as one of three criteria determining how quickly Earth moves from 4th into 5th dimension. One of the most frustrating characteristics of what has been called the New Thought community is a misunderstanding that positive thinking means not giving attention to the negatives within our world. How many times do we hear, “I don’t get involved with politics because it is so corrupt.” As a result of millions of truly positive thinking individuals NOT getting involved, Earth’s political situation is still very corrupt. When only corrupt people get involved, the end result is corruption. We hold you in honor and unconditional love as we continue accompanying you, albeit unseen, every step of the way. Intense Love energy is flooding our planet and each of us during this Season of Ascension into Light & Love and will continue into 2013. Patricia Cota-Robles has a series of meditations that can assist in our Ascension Process. Earth has now ascended to the 5th dimension. During this Season of Ascension into Light & Love, we can continue to prepare our physical, emotional, mental, and spiritual bodies for life on the 5th dimension. Since I live alone, I have the privilege of using this Season as a Silent Retreat. If you live alone, you may want to do the same thing. If you have family and responsibilities, you can use these meditations whenever you find a quiet moment. There are several meditations at this URL. Be sure to use the one written 12/21/12—it is to be used to prepare our multiple bodies for life on 5th dimension. The meditation entitled “Musical Rapture” is heavenly music channeled from Patricia’s son, who returned to spirit, to a musician friend of his. It is his contribution of healing to Gaia and her inhabitants. WHAT AN INSPIRATIONAL & INFORMATIVE SHOW! 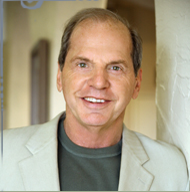 GEOFFREY BEGINS & ENDS THE SHOW WITH A CALL TO PRESIDENT OBAMA TO DISCLOSE THE PRESENCE OF OUR GALACTIC FAMILY. HE CHOSE NOT TO FOCUS ON 3RD DIMENSIONAL NEWS, BUT TO SHARE HINTS OF LIFE ON THE 5TH DIMENSION. IN GIVING THANKS TO ALL WHO HAVE SUPPORTED HIS WORK ON CVN, HE REVEALS JUST HOW MARVELOUS LIFE CAN BE WHEN WE SUPPORT EACH OTHER IN PURSUING A DREAM. GEOFFREY IS TRULY A PIONEER FOR THE LIGHT. THANK YOU, GEOFFREY, FOR DEMONSTRATING TO THE WORLD HOW BEAUTIFUL A NEWSCAST CAN BE! I CALL TO PRESIDENT OBAMA TO WORK WITH GEOFFREY ON MAKING THE ANNOUNCEMENT OF OUR GALACTIC FAMILY. THERE IS NO OTHER NEWS ANCHOR SO WELL PREPARED TO WORK WITH YOU IN BREAKING THE GREATEST NEWS OF OUR PLANETARY HISTORY! I CALL TO LISTENERS OF CVN TO WRITE PRESIDENT OBAMA … SEND HIM THE URL FOR THIS SHOW … AND ASK HIM TO TURN TO GEOFFREY FOR ASSISTANCE IN MAKING THE ANNOUNCEMENT THAT WILL RESULT IN SOLVING EVERY PROBLEM ON THIS PLANET! BE SURE TO INCLUDE YOUR E-MAIL ADDRESS & HOME MAILING ADDRESS. YOU MAY CALL AND LEAVE A COMMENT AT: 202-456-1111 BE SURE TO STATE YOUR COUNTRY. CATHOLICS, JEWS, CHRISTIANS – ALL AWAKENING! Frank and I were invited to our first Hanukkah Celebration last night. The entire place, all of the people were absolutely lighted up with Ascension General Electric!!!!!! Every soul was awakened and intensely aware of everything that has been happening and that is going to happen. The days of going to parties and wondering “Gee, what are we going to talk about?” are over. No matter whom we met or no matter from what walk of life, each individual was fully aware of his/her Godhood—- Jews, Catholics, Baptists, Mediums,… they were all present…. everyone awakened! Just simply amazing! To live in a world where people are on the same page is just so startling, and yet everyone is totally aware that what we are experiencing is totally natural. What AGE? The Piscean AGE!!! Jesus incarnated at the beginning of the Piscean Age … the symbol used for Christians was two fish – the symbol for Pisces. He called his disciples fishermen of men. The Piscean Age is now ending and the Aquarian Age is beginning. During the Aquarian Age, Jesus and the other Ascended Masters will be with us in a visible way. The Aquarian Age is an age of perfection—an age free of sorrow. Jesus spoke of the Aquarian Age in Mark 14:13 – “Go into the city, and a man carrying a jar of water will meet you; follow him….” One of the keys to revealing the hidden wisdom of the Bible is to notice the incongruent statements. A man carrying a jar of water was unheard of in Biblical times. Women both drew the water from the well and carried it. Jesus is referring to the Aquarian Age. The symbol for Aquarius is the Waterbearer. The foundation for the Bible is esoteric, or soul-centered, astrology. Filed under: 2012, 5th Dimensions, Awakening, Bible Study, Catholicism, Christianity, December 12, December 21, Jesus, Judaism, Metaphysical Bible Study |	Comments Off on MUSINGS OF AN AWAKENING MINISTER – CATHOLICS, JEWS, CHRISTIANS – ALL AWAKENING! Filed under: 2012, 5th Dimensions, Aquarian Age, Ascension, Galactic Culture, Golden Age |	Comments Off on WHAT IS THE NEW AQUARIAN AGE – THE GOLDEN AGE?